People typically hire law firms for two reasons: to avoid trouble or to rescue them once they’re in trouble. They need a law firm they can count on… a firm who “has their back.” Knowledge of the law is valuable. But knowing a law firm is always there – covering your back? That’s priceless. Our clients also know that we still do business the old fashioned way: we’re fair and we’re reasonable. We still have that faith in the justice system: that everyone needs an advocate – someone in their corner. 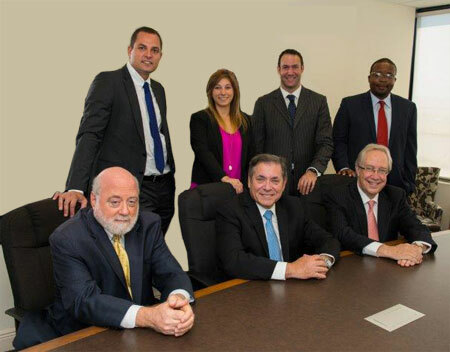 The law firm of Galbut, Walters, & Associates, LLP was originally founded by Hyman P. Galbut in 1953, in what is today the golden triangle of South Miami Beach, Florida. Mr. Galbut, a captain in the United States Naval Reserve, built his practice based on honesty, integrity and devotion to his clients. Mr. Galbut was well known in the community as being the guiding light to both community organizations and his clients. Although Mr. Galbut is no longer with us, the high set of standards he set for this law firm continues to permeate through the next generation of our practitioners. We have over 100 years of experience between us. Today, led by his son Abraham Galbut, Esq., we represent major developers and business entities in the State of Florida while also volunteering to be on the boards of local schools, temples, cemeteries and nursing homes. The passion for our attorneys is to serve our clients and the community to the best of our abilities. Our clients know that when we take on a client we look at the whole picture and give them our best to accomplish their goals at a reasonable cost. That is how this firm was started and that is how we still operate.